Our updated website is live - we hope you like it! Our updated website is live – we hope you like it! 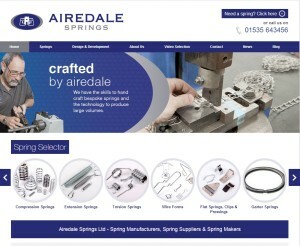 www.airedalesprings.co.uk went live in October with new features including video links of springs being made on our state of the art CNC equipment and a feedback tab for you to tell us what we’re doing well and where we can improve. Please let us know what you think of it.